Now that my Ladybird collecting hobby is so well know I feel like I have an army of spies out there looking for Ladybird books for my collection. 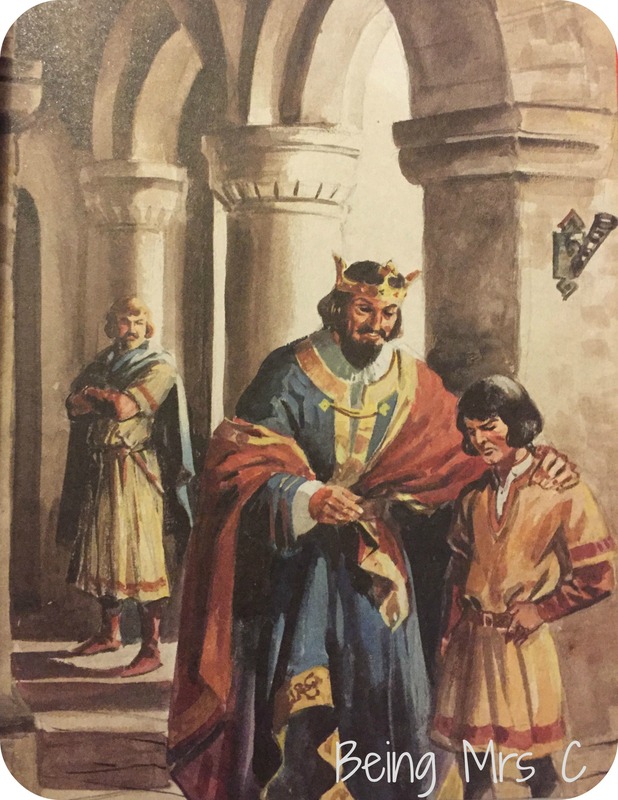 One such spy (more commonly known on twitter as Tall_Rich) tweeted me one Saturday evening from St Albans Abbey to tell me that he’d spotted a new Ladybird book. 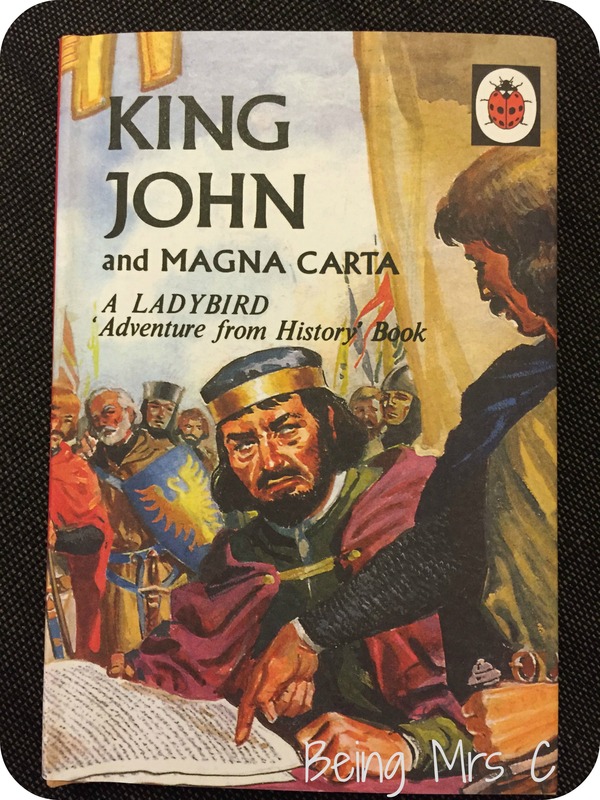 In fact it seems that there was a whole display of Magna Carta related books, with the Ladybird reproduction of King John playing just a small part. There have been several Ladybird reproductions over the years, but I find that it’s actually quite hard to get a complete list of them anywhere. I’ve found a few whilst collecting and try to pick up copies when they come out. 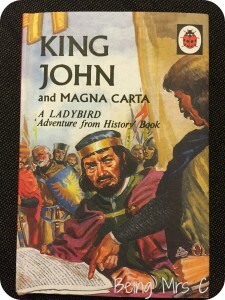 This particular book (originally from series 561 – the Adventures in History series) has been reproduced to celebrate the 800th anniversary of the signing of the Magna Carta in 1215 and in my mind goes to prove just how fantastic Ladybird books were at teaching children about key moments in history. The special edition book is an exact replica of the original edition of King John which was first published in 1969, complete with dust jacket as all early Ladybird books had. I am guessing that a second version would have been published in the 1980s when the Adventures from History series was rebranded and I think more titles added. I have to a admit that it’s not one in my collection though, so it was great to get hold of this version and to teach myself a bit about the Magna Carta and King John himself. 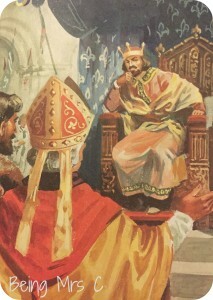 John was probably the worst King ever to occupy the throne of England. He tried to deceive everybody, and was trusted by none. His reign was disastrous, but it remains one of the most important in the history of the English-speaking people: this book will tell you why. I think it’s great to see these old Ladybird books reproduced and hopefully it introduces a new generation of children to Ladybird. I’ve discovered a couple of other titles that have just been republished so watch out for those in future weeks on Ladybird Tuesday. If you have a collection of old Ladybird books then please feel free to join in with Ladybird Tuesday. There are no formal rules to follow, just leave a link to any post you write in the comments below and if you’re feeling kind link back to my Ladybird Tuesday index page here on Being Mrs C. Thanks!